Apple Tree Farm holiday lets are newly-restored 17th century barn conversions in the village of Blackshaw Head, near the quaint market town of Hebden Bridge. We are surrounded by countryside, with spectacular views across the valley towards Stoodley Pike and the ancient village of Heptonstall. Within its own grounds, the farmhouse is an idyllic setting and is surrounded by the beautiful Pennine landscape. Apple Tree Farm is the perfect location for a relaxing break. With the Pennine and Calderdale Way right on your doorstep it is also the ideal destination if you enjoy walking and cycling with bridlepaths in every direction. There is also the Rochdale canal and the tow path, which gives you the opportunity to take a stroll along the centre of the valley, maybe sampling a pub or two along the way. For the more adventurous Hard Castle Crags is not to be missed with its stunning woodland walks where you may be lucky enough to spot some of the Yorshires wildlife, including Roe Dear or rare Green Woodpeckers. Hebden Bridge, Yorkshire's creative capital, is just 10 minutes drive away. With an easily accessible bus route from very close to Apple Tree Farm it is the perfect place to while away the day. The river Calder runs through the Hebden village centre, providing a picturesque setting for the many bars, restaurants and boutique shops. Peaceful and relaxing by day, where you can shop till you drop at the local market every Wednesday or visit one of the many cafes. By night Hebden Bridge also has many attractions, with a wide variety of restaurants to suit all taste and numerous bars and pubs for a late night tipple, it really is the ideal place to visit. Apple Tree Farm offers the option of a one bed or a two bed barn conversion available for a minimum of 2 nights stay. Both accommodations are bright and airy with all the modern facility you would expect at home. The two bed sleeps 4, with both bedrooms having ensuite facilities. 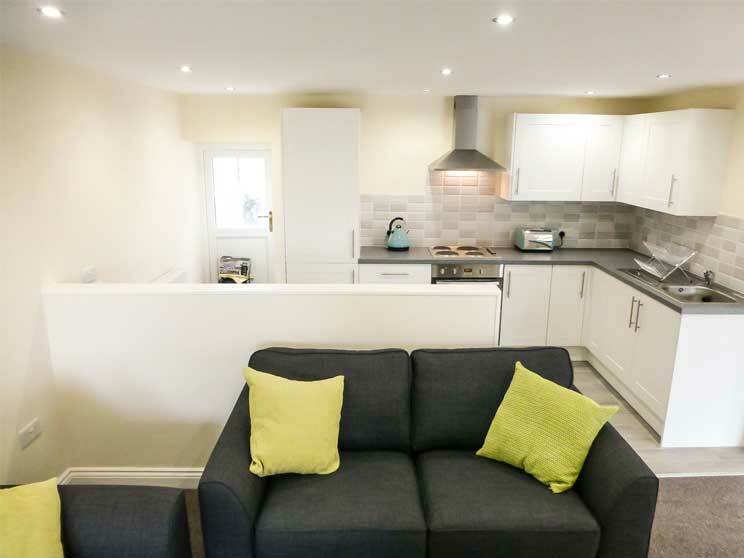 An open plan lounge and kitchen, creates a great social setting in each let for your holiday. The one bed has the added extra of a wood burner to warm up cold winter nights. This two bed is a newly transformed barn conversion, with open plan kitchen and living area. The accommodation has a separate utility/drying room along with a downstairs WC and hand basin. Newly refurbished, light and airy, one bed holiday, with open plan kitchen living room. 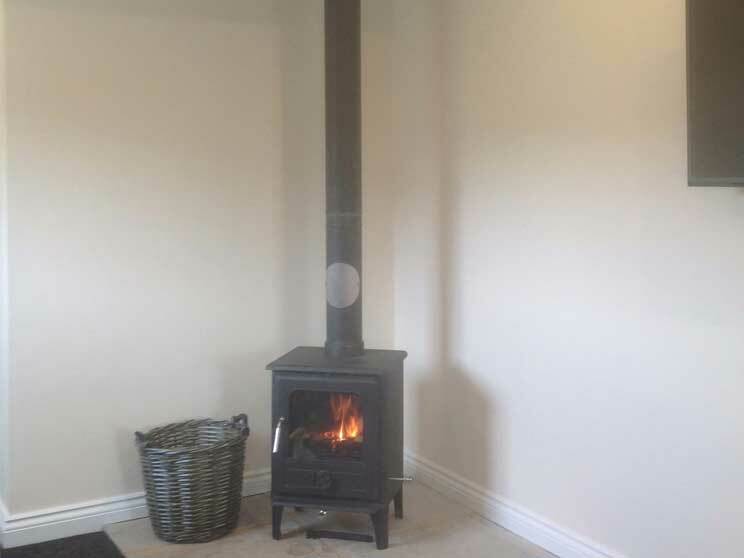 This property has the added benefit of a multi fuel burner, with all wood and coal provided at no extra cost. Check the rates and availability of both the 1 bed and 2 bed cottages. We had a fantastic stay at Apple Tree Cottages. The cottage is finished to a very high standard, clean, modern and very comfortable. But more importantly there are excellent public transport links to both Hebden Bridge and Todmorden. We hope to come back again soon. We felt we were living in modern tranquil luxury whilst staying at Apple Tree Cottage. The cottage is very well equipped and had everything we needed. Tracy gave us a very warm welcome and provided us with lots of extra information and tips about the local area which helped us make the most of our stay. Davey Lane, Blackshawhead, Hebden Bridge, HX7 7JG. ©2015 Apple Tree Farm Holidays.